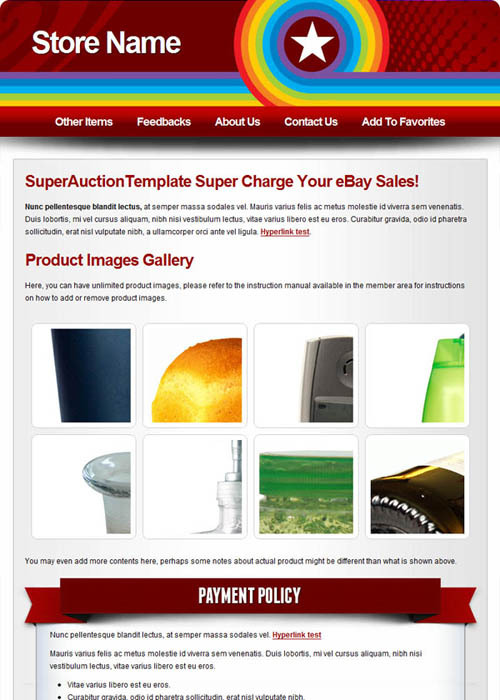 SuperAuctionTemplate offers a continuous growing collection of professional eBay templates designed to make your eBay listing look professional. 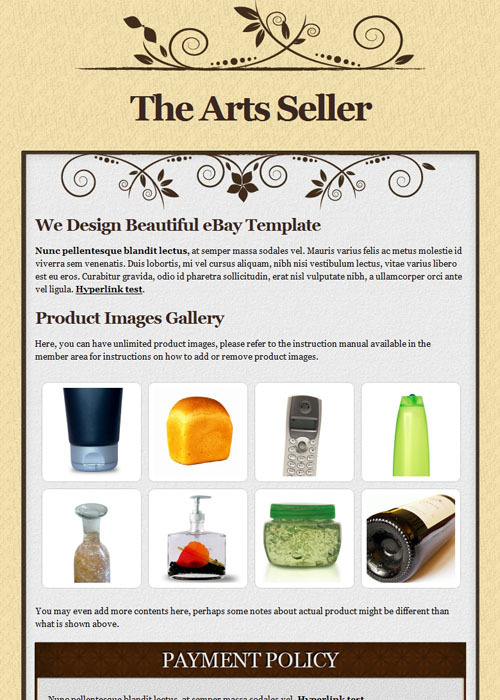 Our eBay templates are professionally designed by our designers and are coded in tableless CSS coding giving you full customization power over all the templates and you can easily edit our eBay templates in the eBay HTML editor. 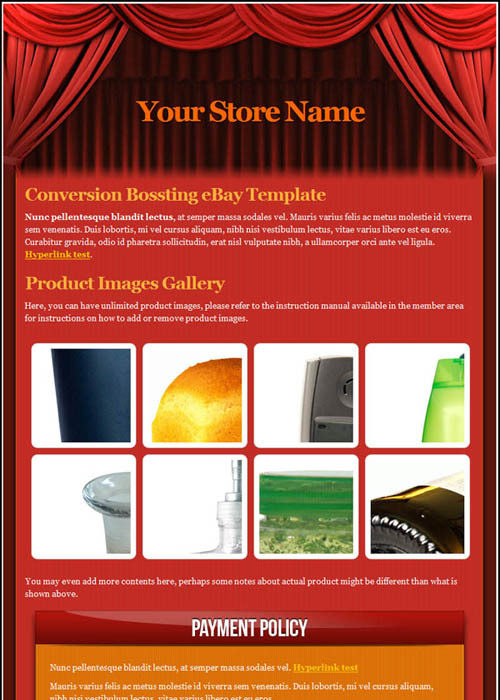 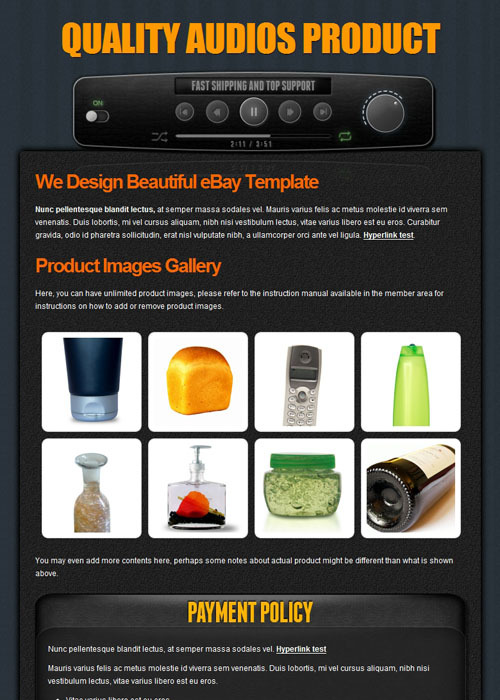 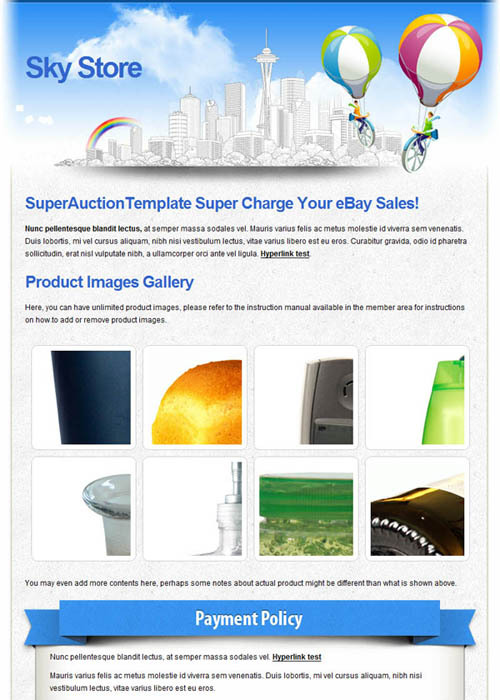 In addition to all the above, each of our eBay template is also packed with numerous features, such as a HTML images gallery, editable logo text, numerous information blocks for your eBay listing and many more fantastic features. 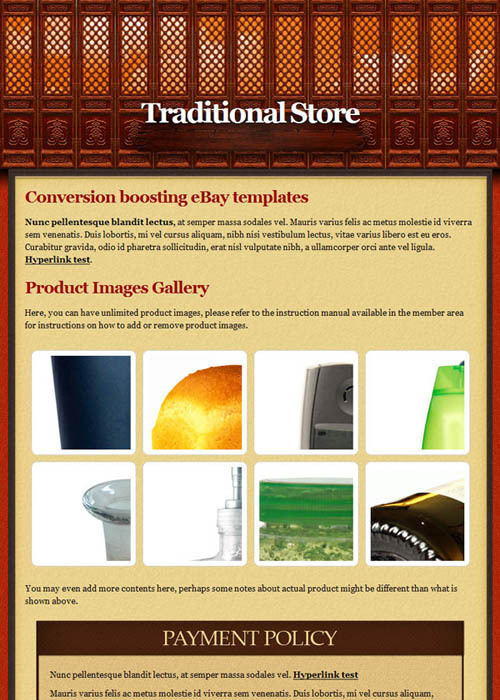 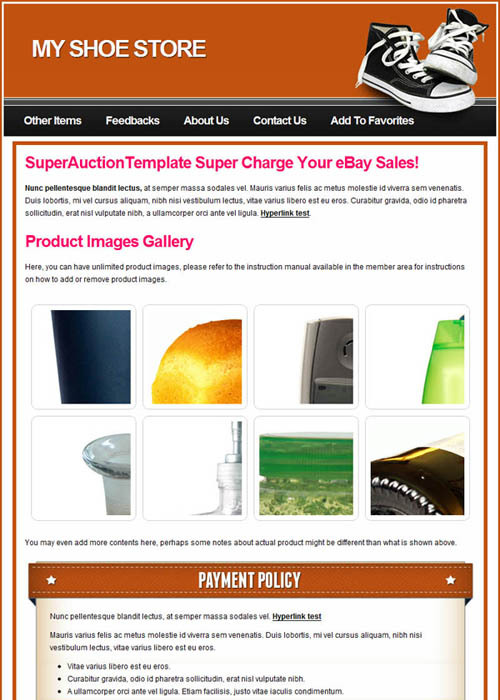 * Please note that all the eBay auction listing templates preview above has been scaled down for web viewing purpose. 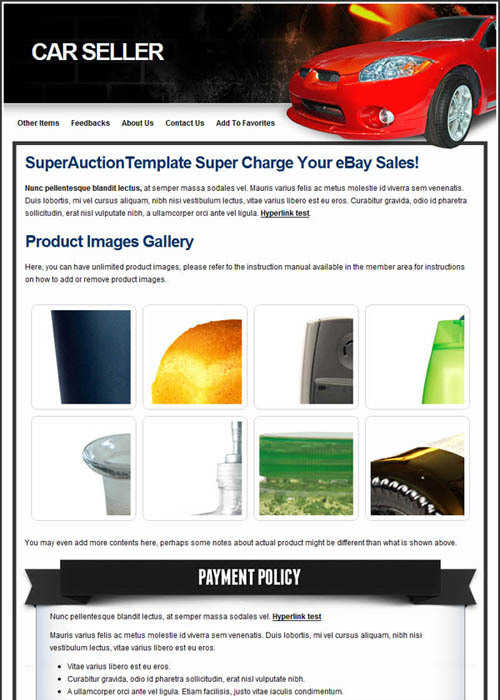 The templates you will receive in the member area are in high quality stock. 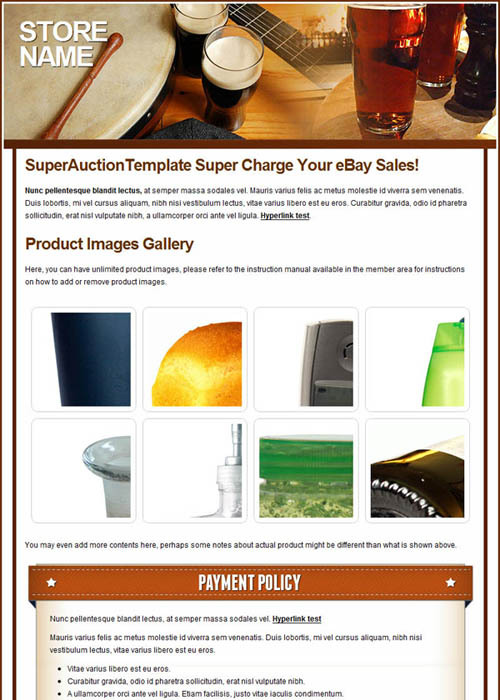 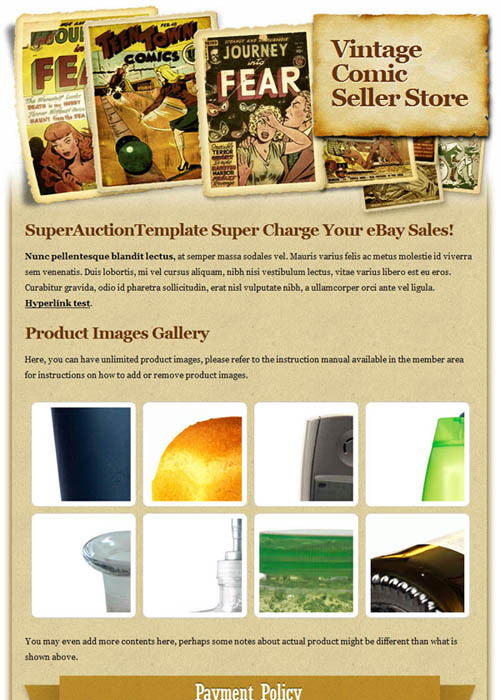 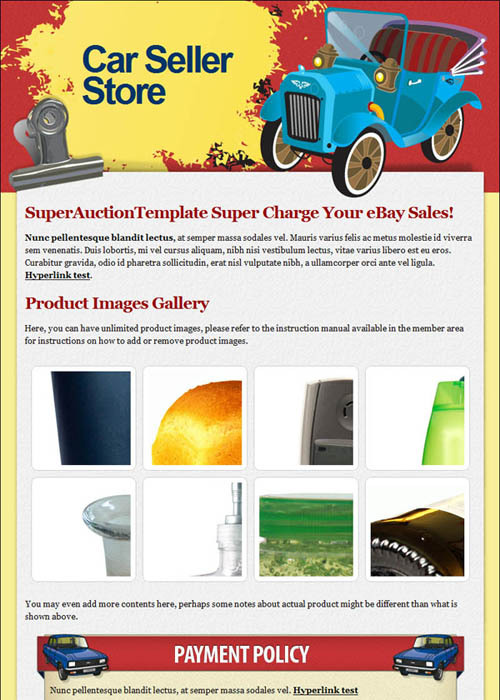 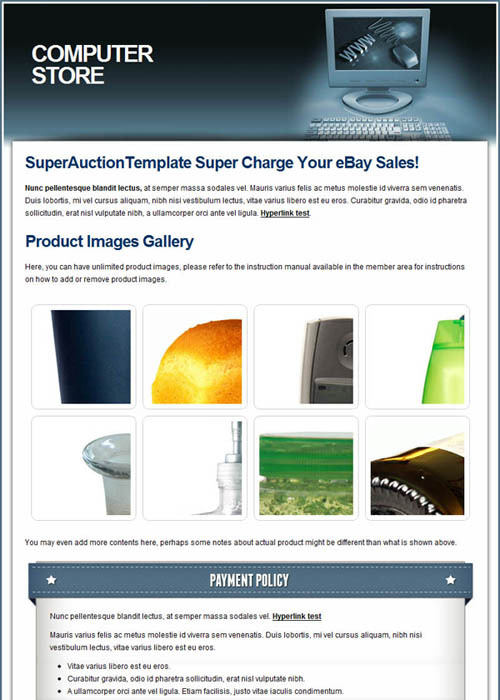 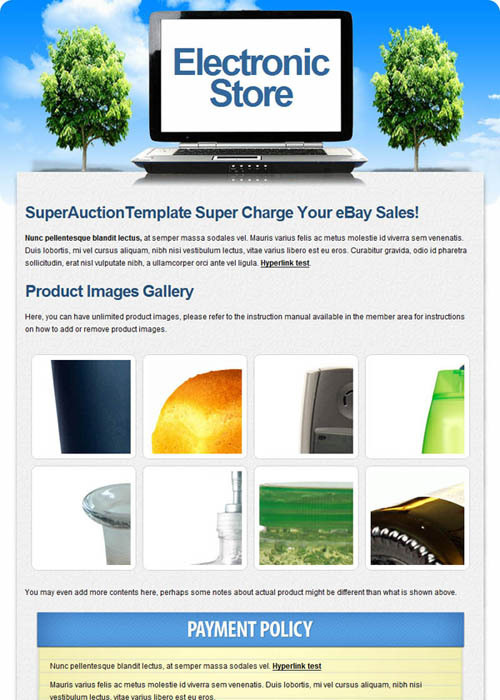 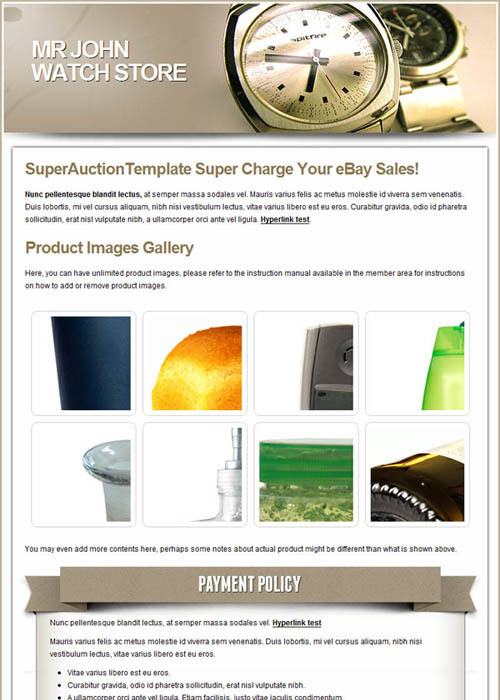 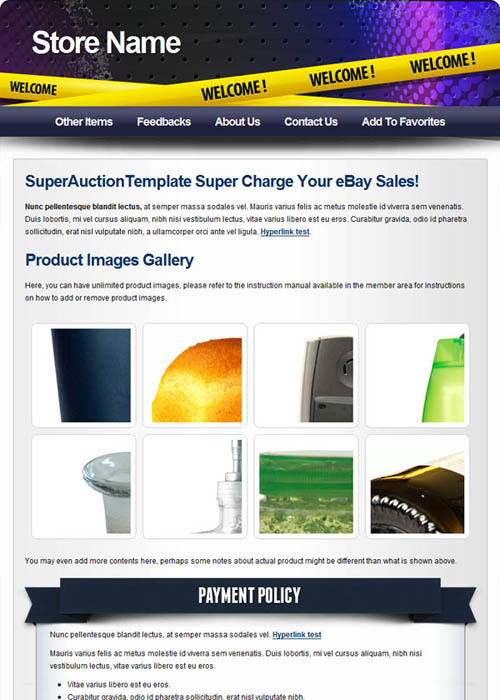 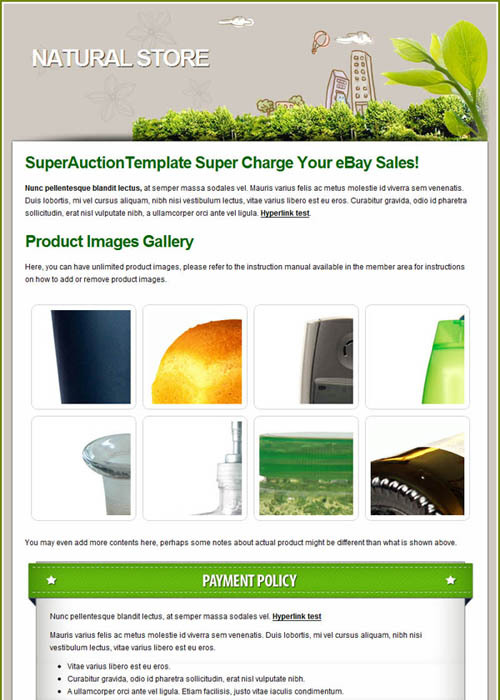 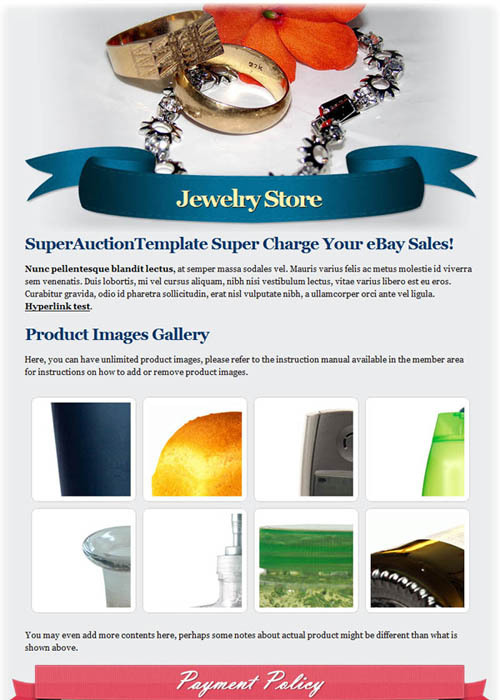 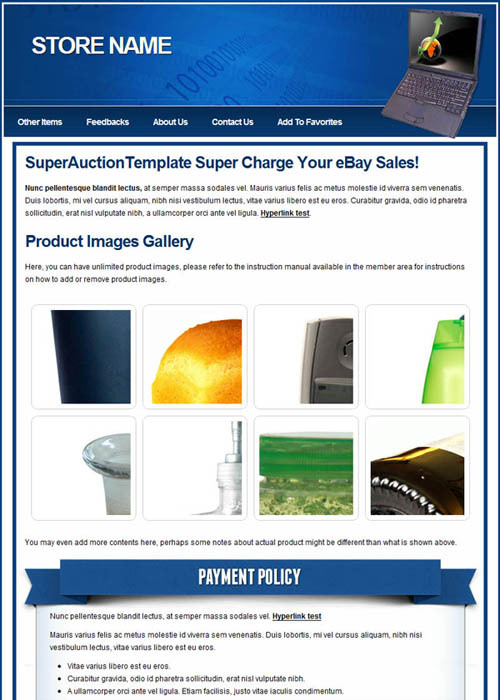 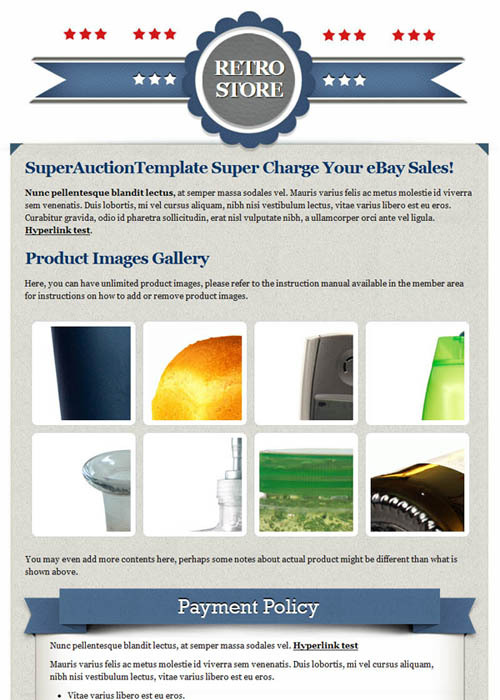 The SuperAuctionTemplate “Ultimate eBay Templates Collection” is a collection of 50 premium eBay auction templates designed by professional. 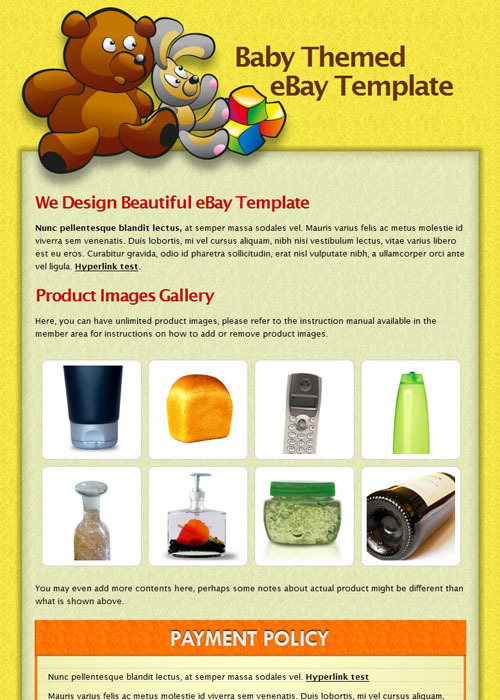 These eBay templates are professionally designed and crafted with CSS fluid layout leaving you with a high quality and easy to customize eBay designs. 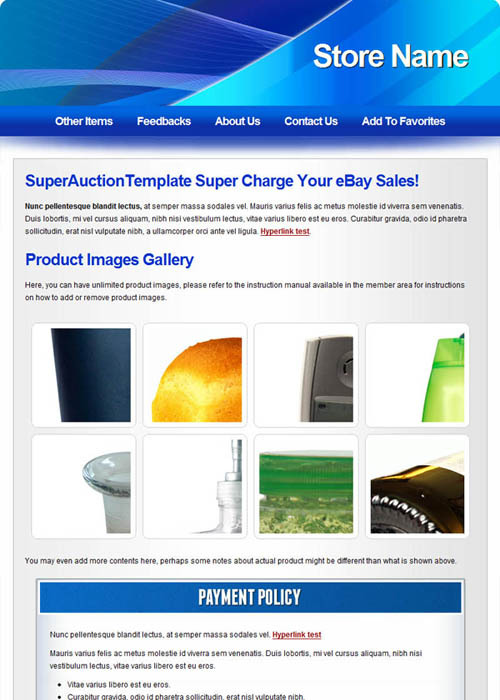 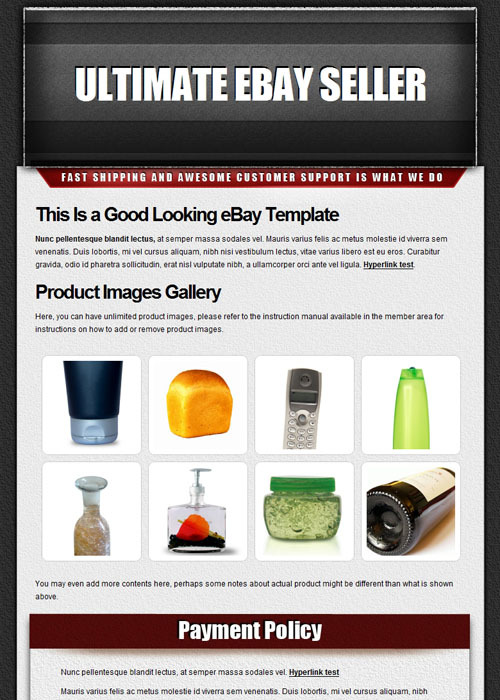 Collection of 59 awesome looking eBay auction templates. 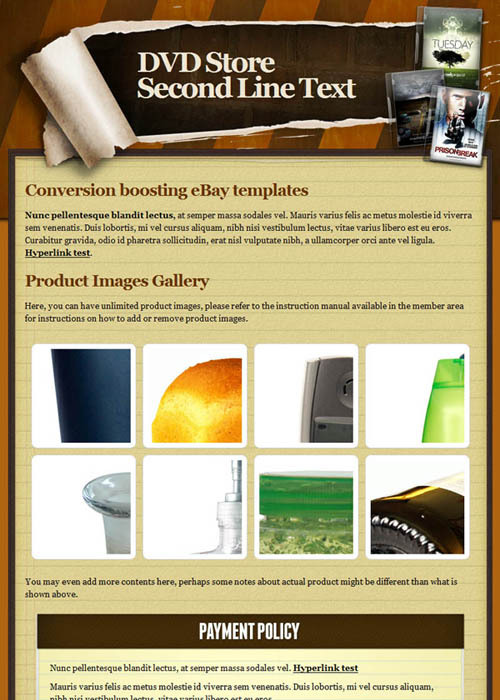 Cover variety of different themes, you will find general themes which are suitable for most product, vintage, retro, computer, gadget, fashion, nature, holiday, DVD & Movies, cars, camera, gift, urban and many more different themes. 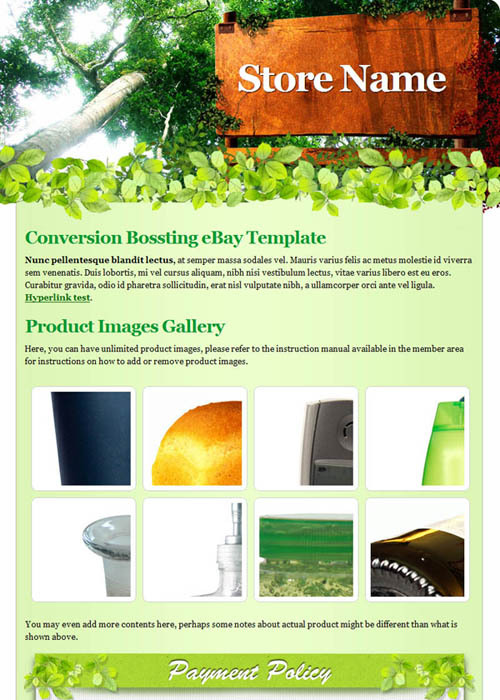 Coded by professional, all our templates are coded in CSS tableless design giving you flexibility in modifying these layouts using CSS control. 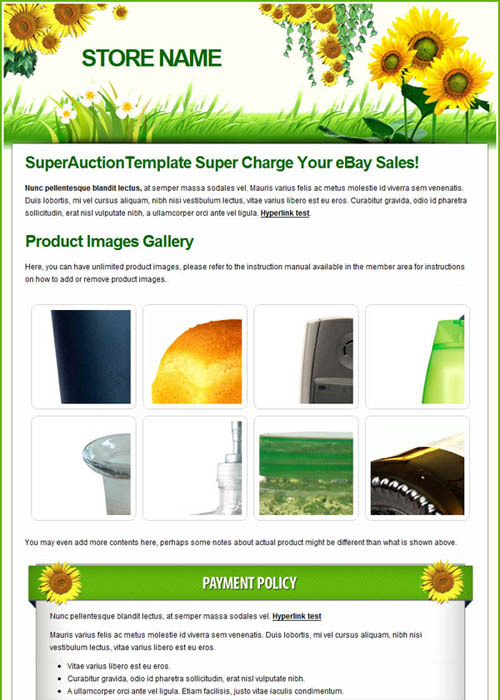 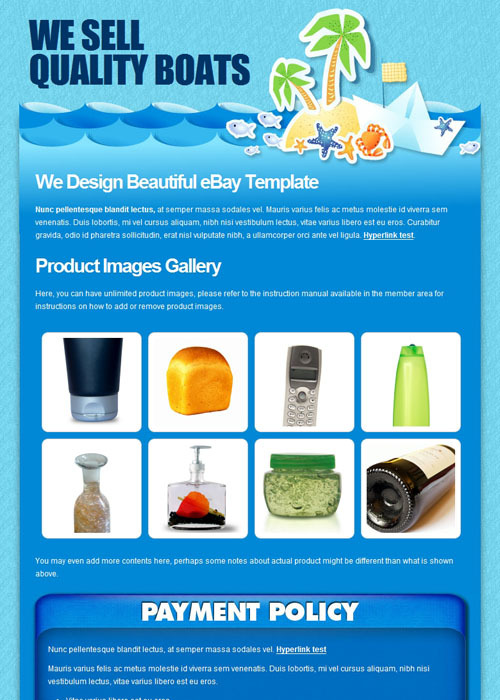 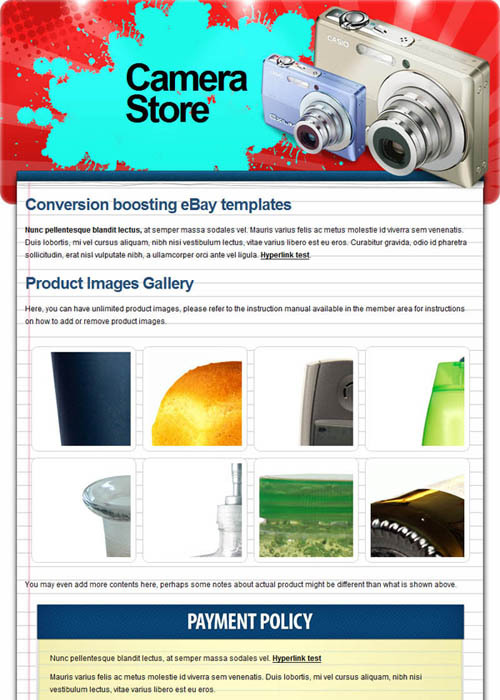 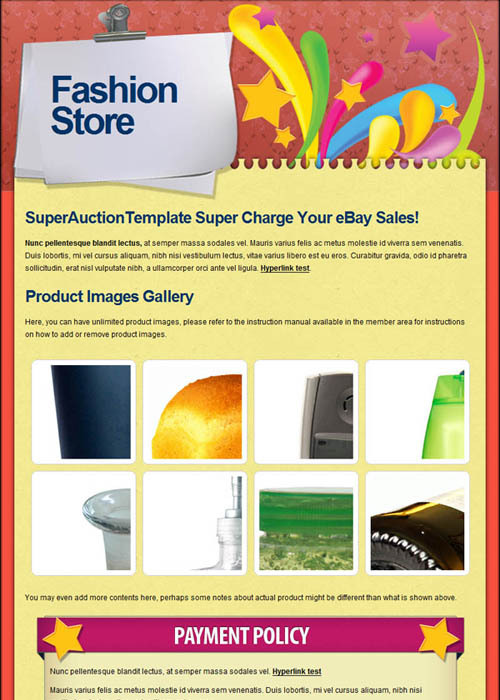 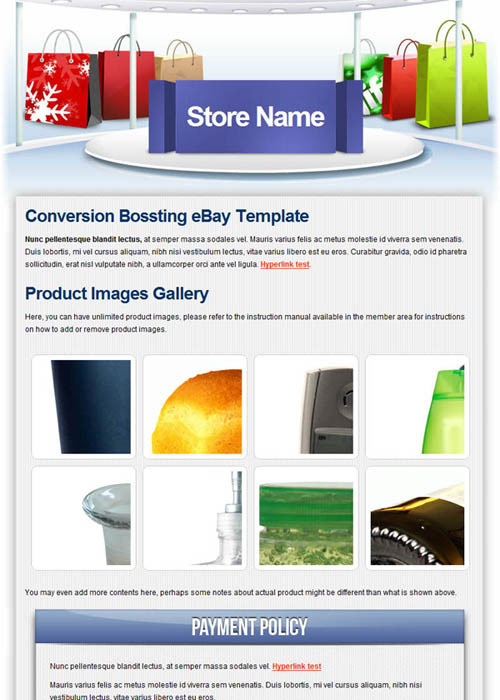 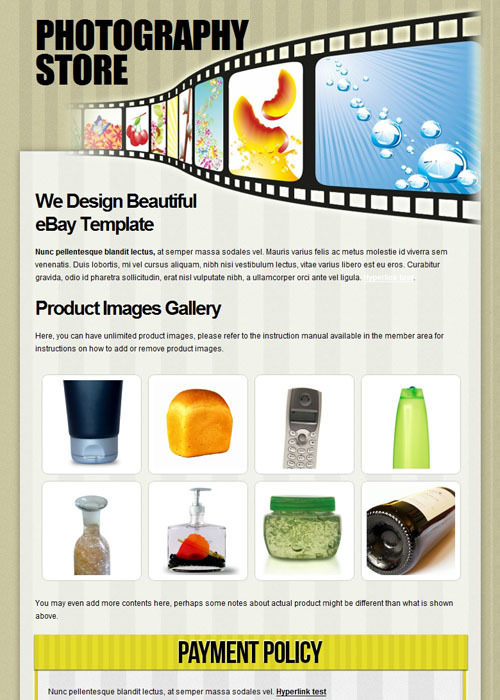 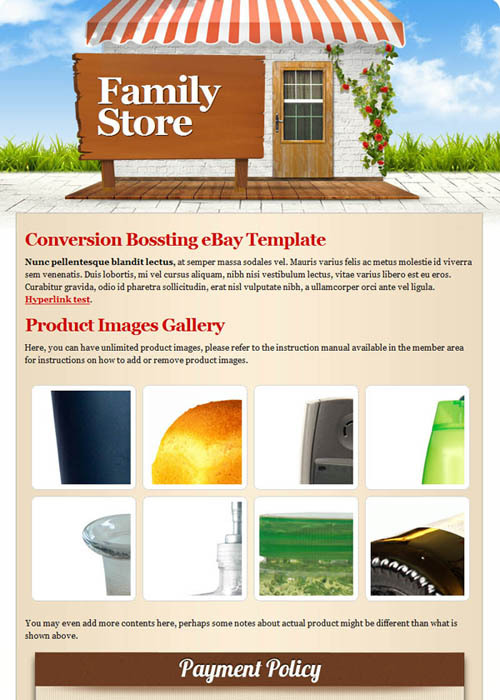 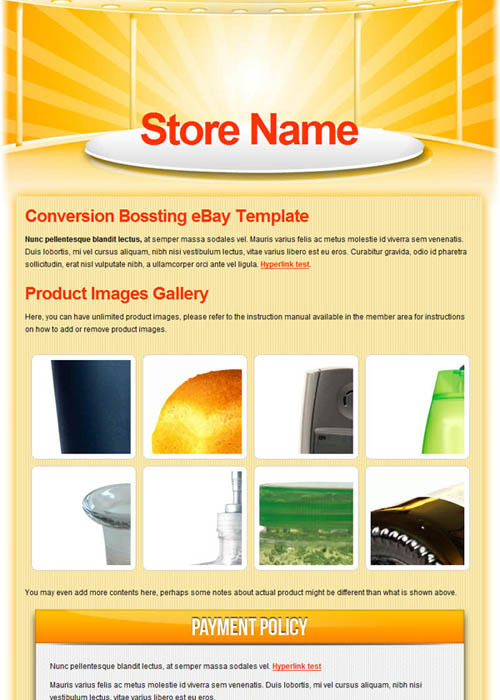 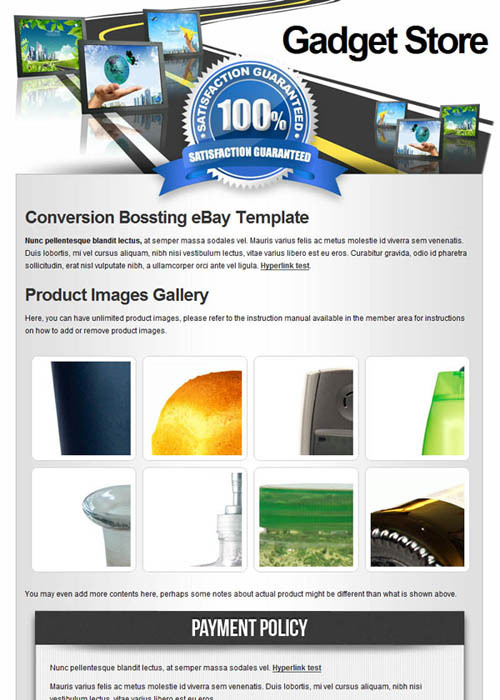 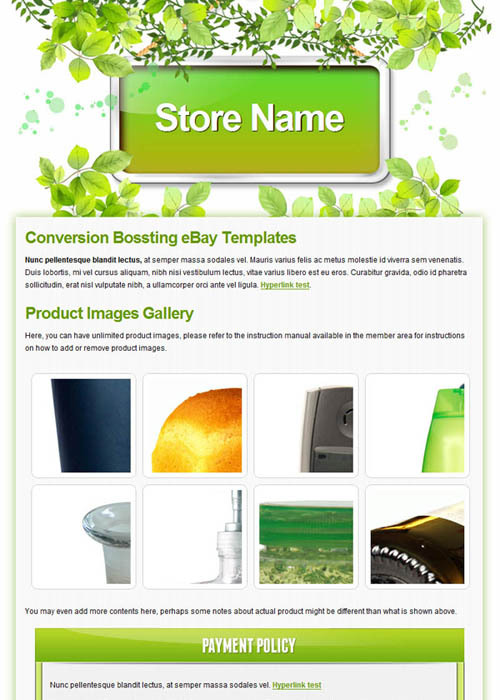 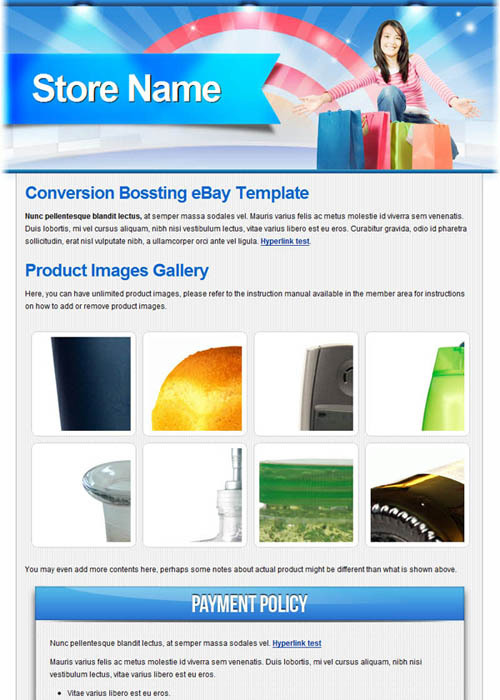 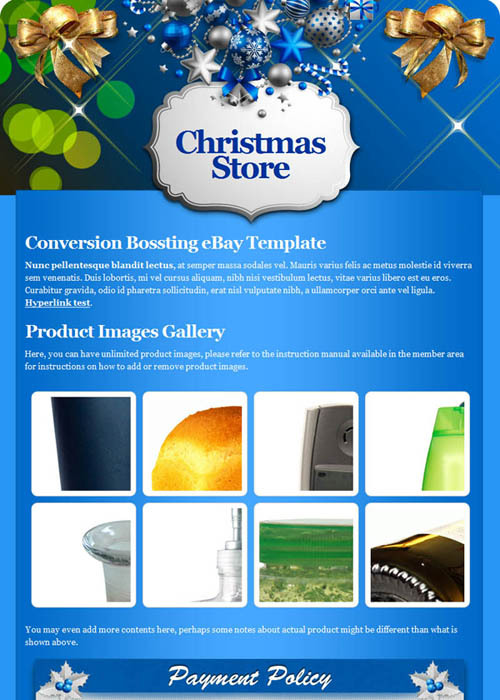 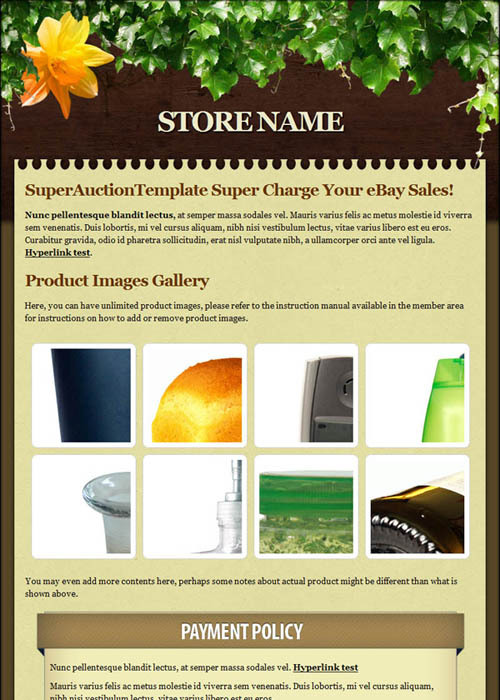 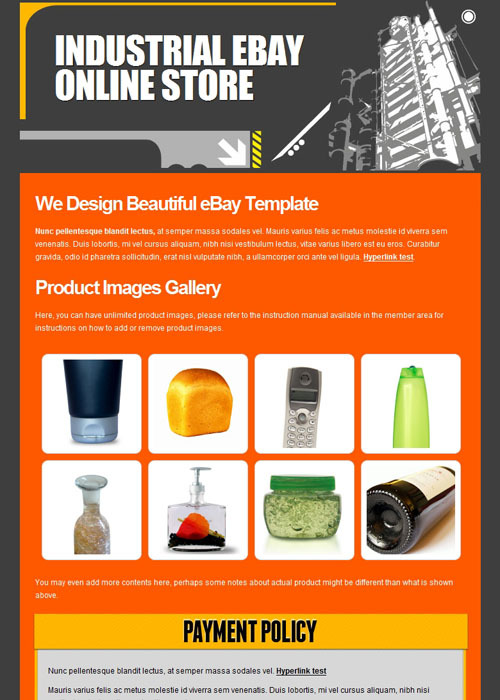 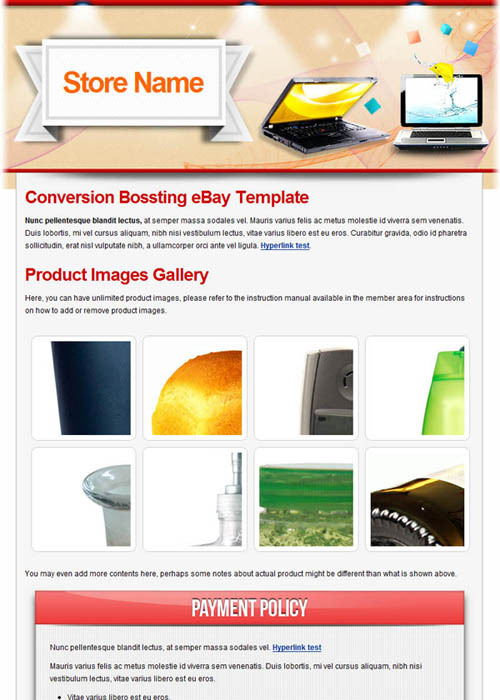 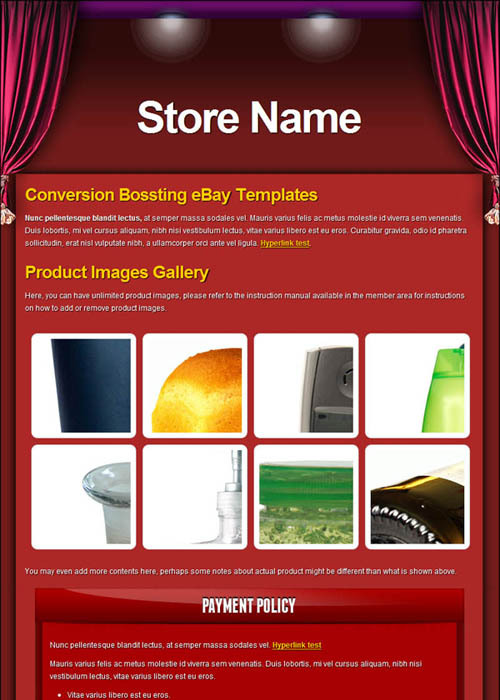 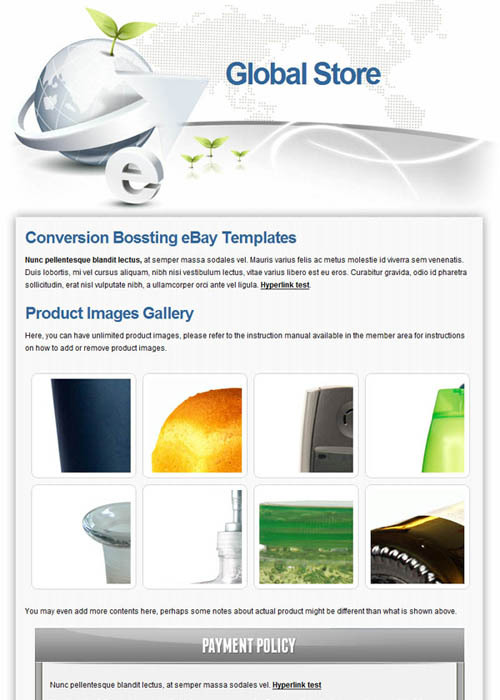 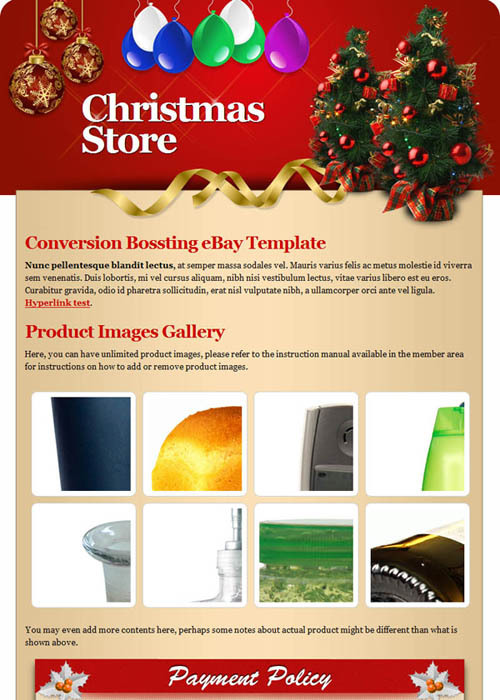 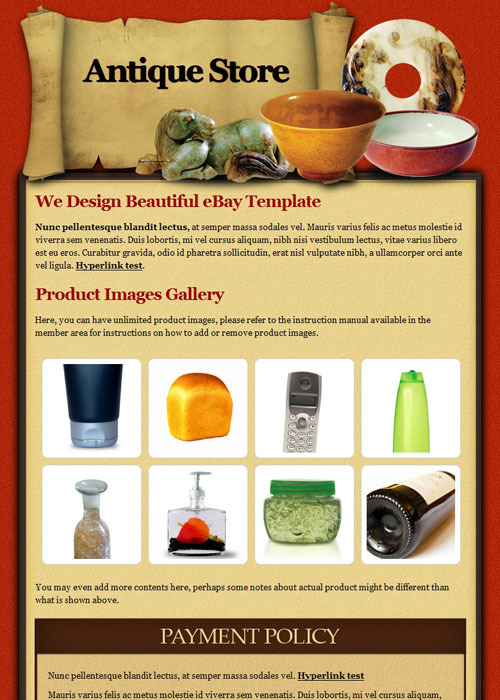 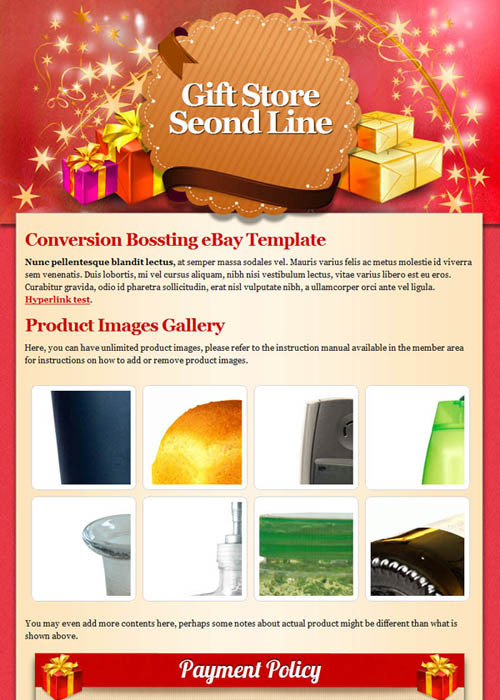 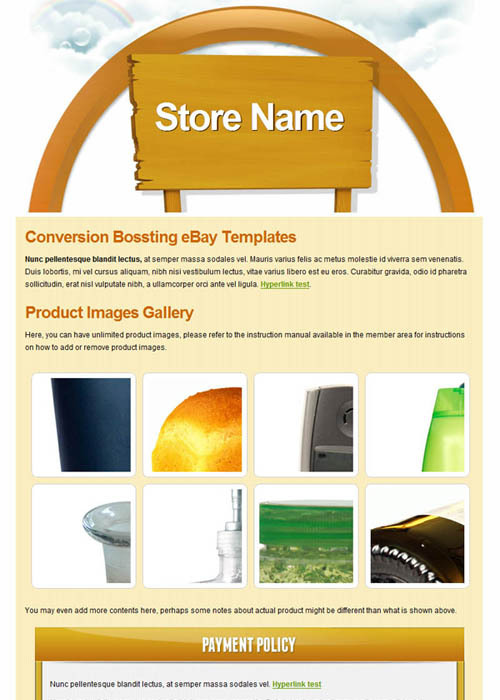 Fully features eBay auction template, each of our templates is included with full easy to edit contents area & text based logo, different blocks for different information display and a HTML image gallery supporting unlimited images without having to pay for the extra by using default eBay image gallery. 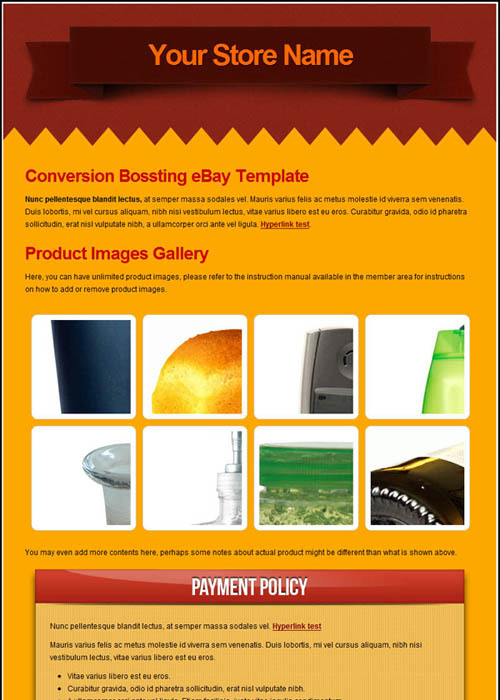 Self-host or externally host options available, you can either host the template images on our server or alternatively you can download the template and host it on your own hosting or server. 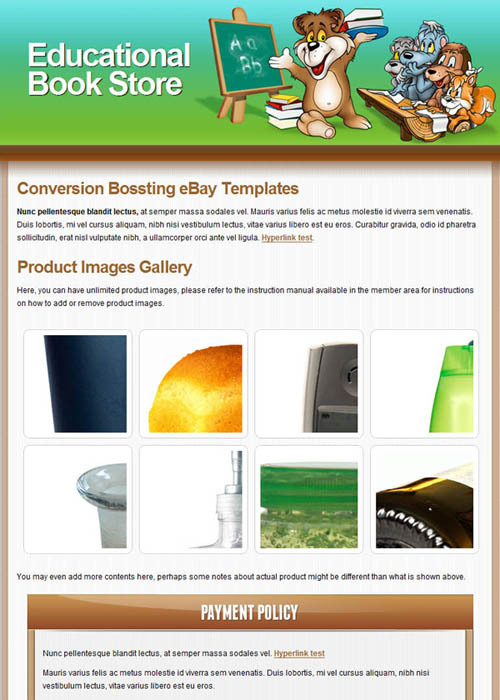 If you are hosting the images in your own hosting or server and feeling creative, you can always edit the provided .PSD files and change the design to suit your taste! 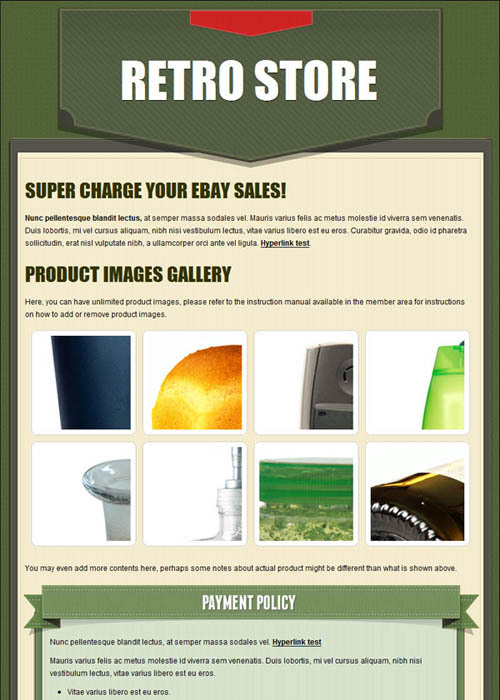 LifeTime Unlimited Access and Downloads, once you join become a member, you will have unlimited access and downloads to the entire collection for life! 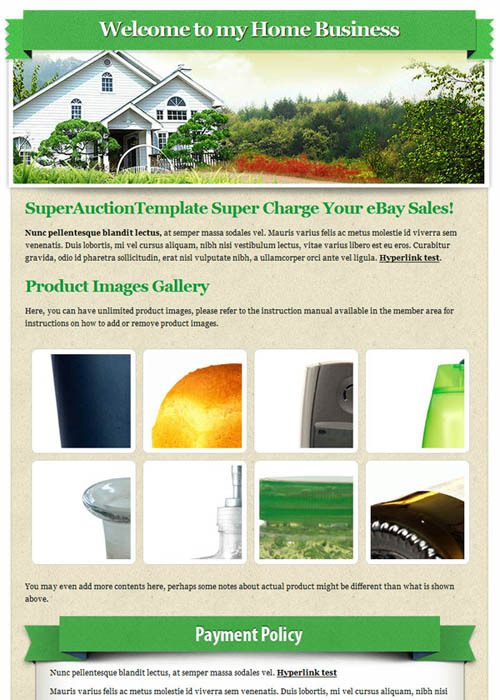 There is no per template fee, and you can use any template unlimited of times in all your listings for your entire lifetime! 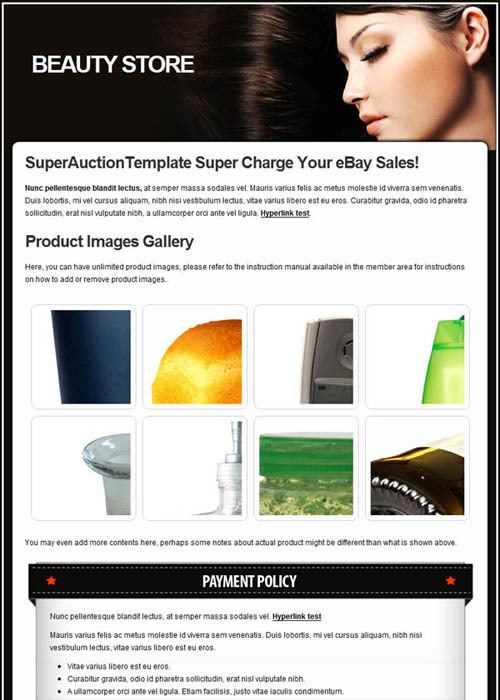 Access to future new eBay templates, we add new templates to the member area from time to time, and as a member you will have lifetime access to all the future new eBay templates! 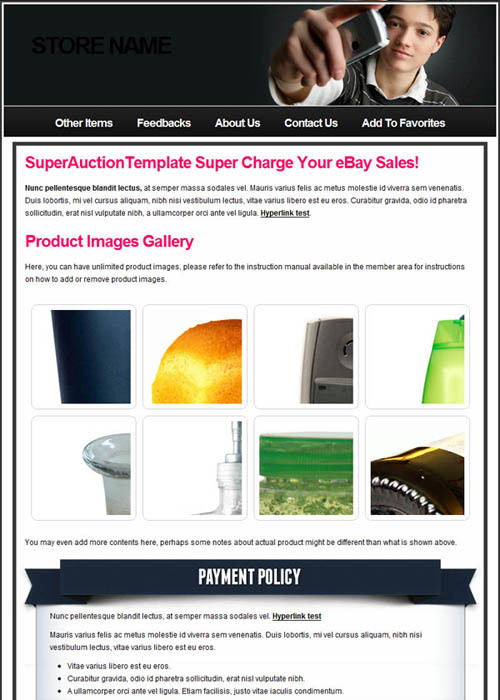 Free Fantastic Bonuses in our member area! 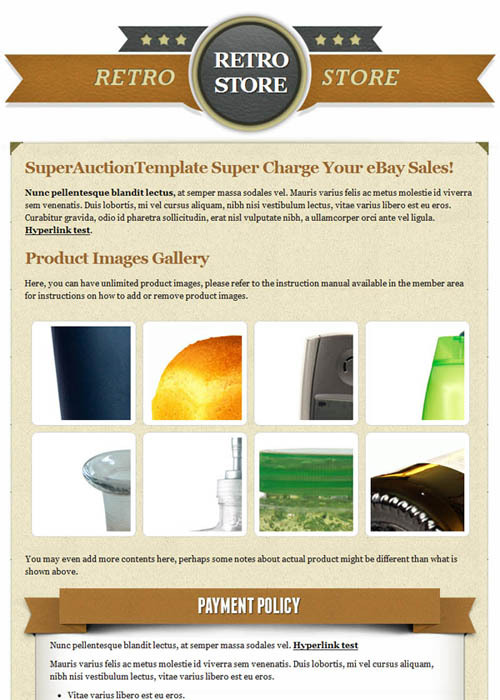 And many more outstanding features! 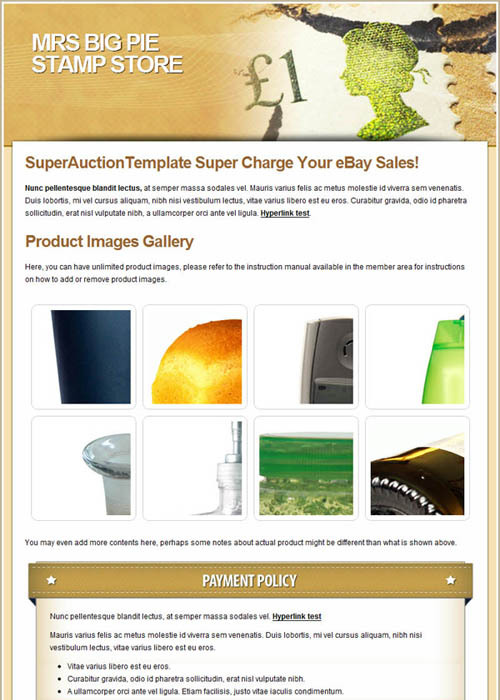 In addition to all the Premium eBay templates you will receive in the member area, you will also receive the following valuable bonuses 100% free! 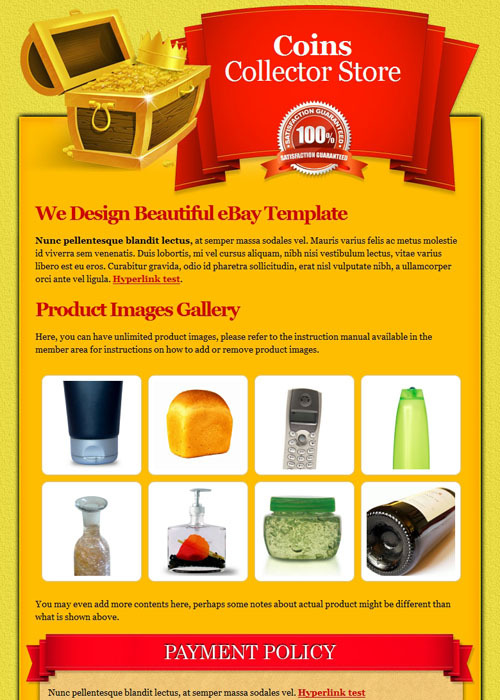 The above 61% special discount is valid only for today, don’t miss out this awesome deal! Once payment is completed, you will have access to the member only area where you will be able to download the template source files and access to the external hosted templates. We accept payments through PayPal and major credit cards and debit cards. 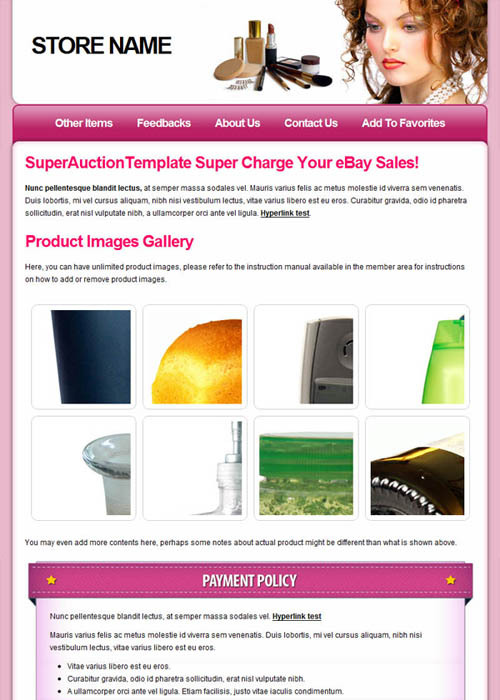 All files are hosted on our own efficient and fast dedicated server. 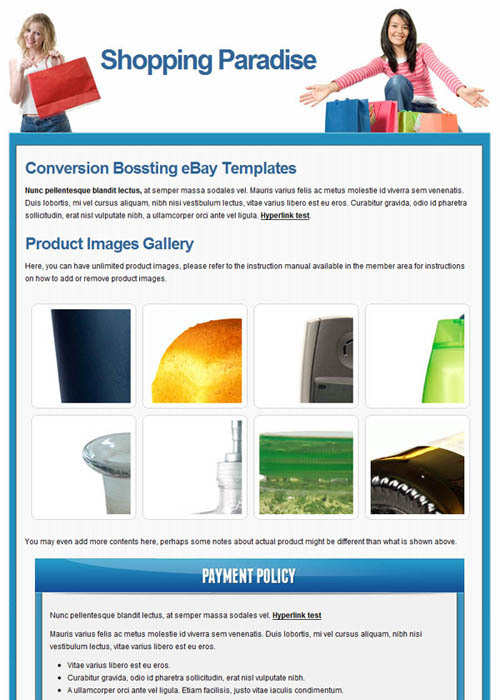 If you have further questions with regards to our products, you can always contact us or refer to the FAQs page.